BEST FIGHTER FOR CANADA: HAS THE TYPHOON WON BY DEFAULT? HAS THE TYPHOON WON BY DEFAULT? The last few years have seen Canada's ongoing quest to replace its CF-18s turned upside down. The F-35 has gone from the odds-on-favorite to a political landmine. Its assumed alternative, the Super Hornet, has gone from a no-bid certainty to being shunned. This pretty much leaves the three Eurocanards (Typhoon, Rafale, and Gripen) as the only alternatives. This would have been unforeseeable five years ago. Still, stranger things have happened. The current state of affairs would seem to suggest that the Eurofighter Typhoon has huge advantage over the other choices. Airbus, part of the Eurofighter consortium, did just perform a last-minute rescue of Bombardier's C Series, after all. This puts it in much higher regard with the Canadian government, especially compared to Boeing. As I have mentioned before, this is not necessarily a bad thing. Airbus C295, snatching victory from the jaws of defeat. This would not be Airbus's first time winning a coveted Canadian military contract after seemingly losing it to others. 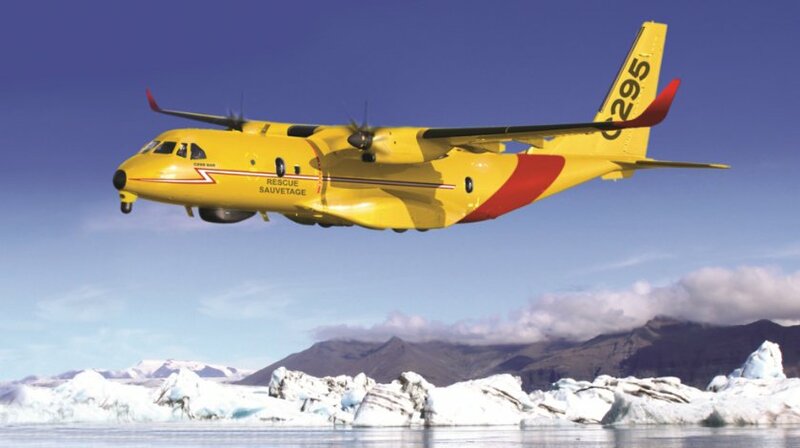 Remember that the Alenia C-27J Spartan was originally selected as the RCAF's fixed wing search and rescue (FWSAR) aircraft, only to have that decision struck down. After a (fair) competition, the Airbus C295 was selected based on value. The C295's selection caught many by surprise. The C-27J, after all, was a perfectly suitable aircraft, and it had the benefit of using the same engines as the CC-130J already in RCAF use. Its selection, however, was tainted by a set of requirements that were written specifically around the C-27J. After a new competition was announced (after seemingly endless delays) the Airbus C295 managed to beat not only the C-27J, but the Embraer KC-390 as well. As with the FWSAR contract, The Eurofighter (Airbus) Typhoon may well emerge as the winner only after a selection is based on merit, rather than predetermination. At this point, however, the Typhoon may simply be the default choice. If a Typhoon in Battle of Britain livery doesn't do it for you... I don't know what will. Politically, the Typhoon could very well be the default choice. The ruling Liberal Party campaigned on dismissing the F-35 during the election that brought them to power. While the JSF has not been completely dismissed, its selection would bring rightful taunts of hypocrisy from the media and opposition parties. Naturally, this led to the Boeing Super Hornet as the heir-apparent to the CF-18. While the "Eurocanards" were mentioned as candidates, it would be highly unusual for Canada to purchase a non-American fighter. The last non-American fighter to serve in the RCAF was the CF-100 Canuck, which had the distinction of being a Canadian design. By now, we all know the story of how Boeing cut off its nose to spite its face regarding Canada's eminent interim Super Hornet purchase. At this point, buying any Boeing product could be seen as near-treasonous. The Saab Gripen and Dassault Rafale were always (and still are) considered long-shots to replace the CF-18. While there chances have gone up considerably in the last few months, they are still unlikely. Canada has rarely bought military equipment from Sweden or France, let alone something as complex as a multi-role fighter. Canada does have a long-standing history of purchasing British, German, Spanish, and Italian military equipment, however. This includes stand-outs like the CH-149 Cormorant (UK/Italy), CT-155 Hawk (UK), and even the deHavilland Vampire. The RCAF also currently flies the Airbus CC-150 Polaris; and will soon add the Airbus C295 to the fleet. Heck, it would not even be the first time Canada flew a fighter named Typhoon. Given Airbus's recent history in helping (rather than hindering) the Canadian-made Bombardier C Series, one could certainly see a political argument for just selecting the Eurofighter Typhoon. 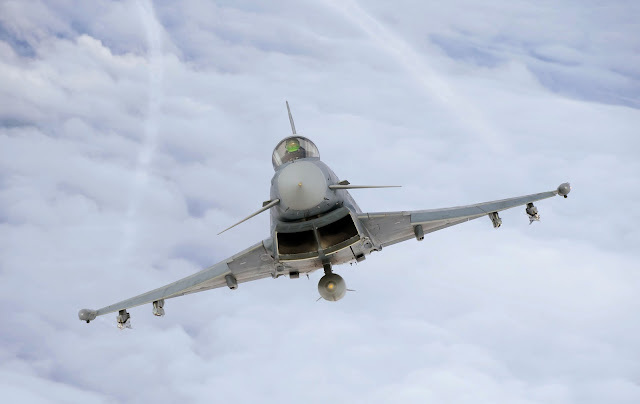 After all, not only is Airbus a major partner in the Eurofighter consortium, but the Typhoon is fully NATO compatible and would likely be an easy fit into the RCAF. As tempting as this would be, it would still be wrought with political landmines. The Typhoon has not been without controversy itself, for one thing. Austria's purchase of the Typhoon has been led to fraud charges. There have been availability issues. Its current operating costs are 30-40% higher than a comparable F-16. 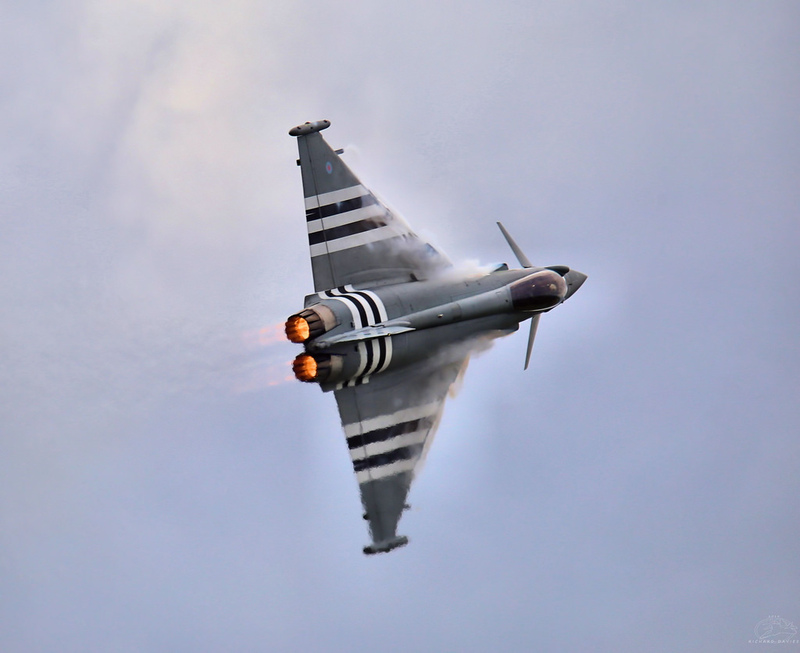 In 2015, some Typhoons were found to have manufacturing defects. Put simply, the Typhoon is far from perfect. While a quick Canadian purchase of the Eurofighter Typhoon could be easily justified; it could also be a source of great headaches later. The truth of it is, while Canadians may be getting impatient waiting for the CF-18's successor to be named, the best course of action is still to perform a proper and open competition that compares the fighters based on their performance, price, and industrial offset merits. Given Airbus' recent actions, it may just have the category of industrial offset merits locked down.